This Aurora Stars Quilt designed by Shelley Swanland for RJR Fabrics, The Pattern is available for free. The Aurora Stars quilt uses seven fabrics from the RJR Aurora fabric line. 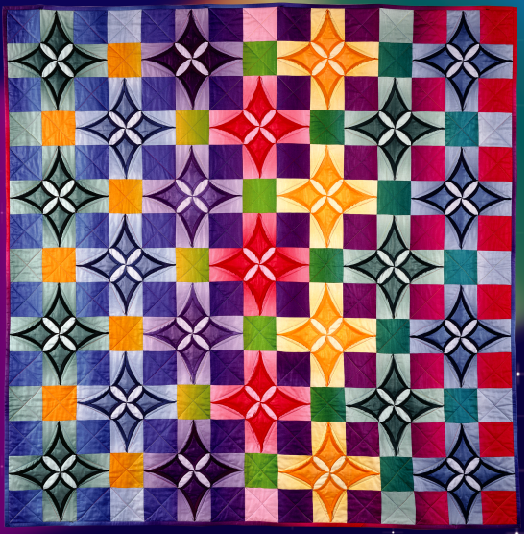 The quilt showcases a version of the Cathedral Stars technique. Each Floating Star is a three dimensional unit of four single Star Point Frames.